Nokia 3.1 Plus is a smartphone that HMD Global boasted officially last month . This time is a slightly lower price. The phone also appeared in Poland. It was noticed on the Allegro online store. Unfortunately, the Polish price is not high. The price of the Nokia 3.1 Plus model in Poland is PLN 869. At this price you can receive a smartphone with a 6-inch screen with HD + resolution. Then we have the average MediaTek Helio P22 processor. Consolation is a model with a greater hardware configuration with 3 GB of RAM and 32 GB of data space. Which does not change the fact that you can find better. 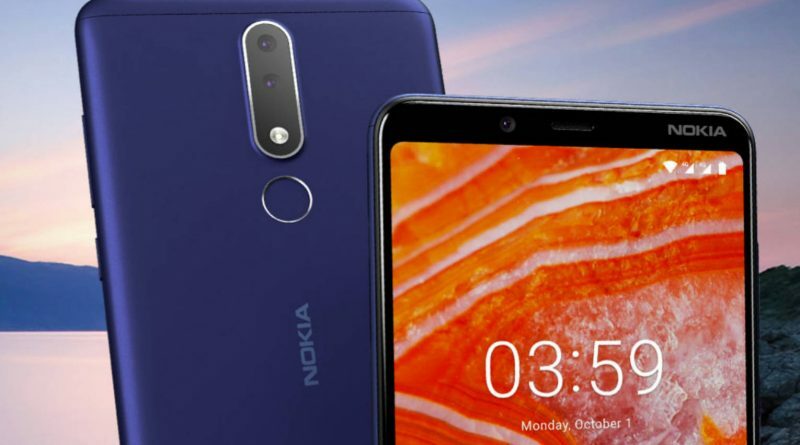 Nokia 3.1 Plus in Poland is available in one version of the housing color. It’s a blue variant. With time, the rest may appear, but we do not know. Technical specifications of the Nokia 3.1 Plus smartphone can be found below.